Veronika Powell gives you the low-down on protein: what it is, why you need it, where you can find it and how much you need. Just hearing the word ‘protein’ probably makes you shudder. There isn’t a question that meat-eaters bring up more often than ‘Where do you get your protein?’ and even health experts (non-vegan health experts to be precise) go as far as suggesting that vegans need to ‘plan carefully’ to make sure they get enough protein. So what’s the reality of protein (non)abundance in vegan diets? Drum roll please… Vegans are not lacking in protein! What’s protein and why do we need it? 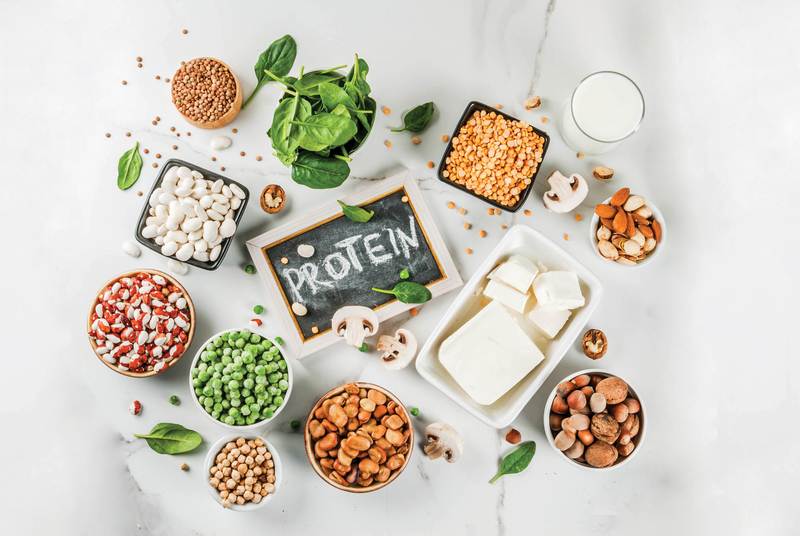 Protein is a vital part of our cells, we need it for many essential reactions in the body, as a component for hormones and many other body functions. But what is protein? Protein is a generic name for large molecules consisting of different types of amino acids. The human body can manufacture some of these but there are nine amino acids that we need to have in our diet because our bodies can’t make them. You might have heard of ‘complete’ protein. It refers to protein that contains all nine essential amino acids so it’s a complete package in terms of your protein needs. In the plant kingdom, examples include soya, black beans, quinoa, chickpeas, cashew nuts, pumpkin seeds, chia seeds and pistachios. There used to be a myth that you need to combine foods to get ‘complete’ protein but it’s nothing to worry about or believe – if you eat enough in a day and you have a varied, healthy diet, you’re getting all the protein (all the amino acids) you need. According to current guidelines, an average person needs 0.8g of protein daily per kilogram of bodyweight. If you’re an athlete or want to build big muscles, you’ll need to increase your protein intake but not much – professional athletes eat 1-2g of protein per kg of bodyweight. It’s easy to get enough protein on a vegan diet and it’s actually difficult not to! Unless you’re on a very restrictive diet or simply don’t eat enough food in a day, you’re most likely getting all the protein you need. When looking at protein content of foods, don’t forget to consider how much of the food you actually eat. If you have a chickpea curry with brown rice, you might get around 17 grams of protein, a small snack of mixed nuts (a couple of tablespoons) would mean around 5 grams of protein, a couple of slices of wholemeal bread will give you around 10 grams and a breakfast of muesli with fruit and added seeds could pack 15 grams. 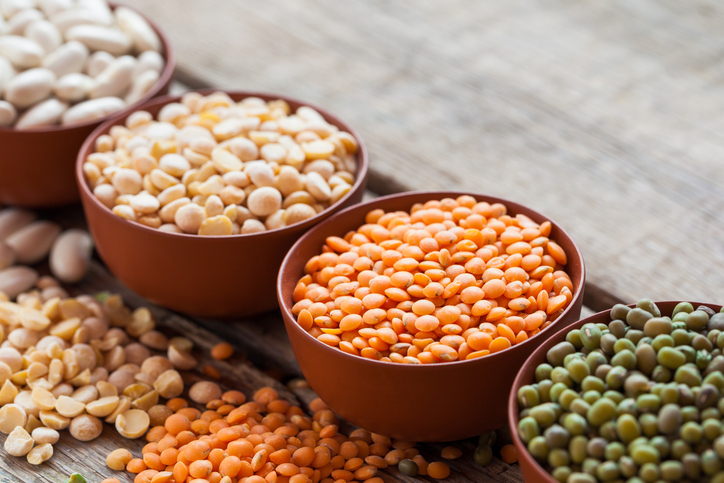 The best vegan protein sources include pulses (beans, soya, chickpeas, lentils), nuts and seeds and oats. We don’t need more protein than our metabolism requires; there’s no benefit from extra protein and eating too much can even result in it being broken down and stored as fat. Unless you’re an athlete, bodybuilder or do physically demanding work daily, you don’t need protein powders!